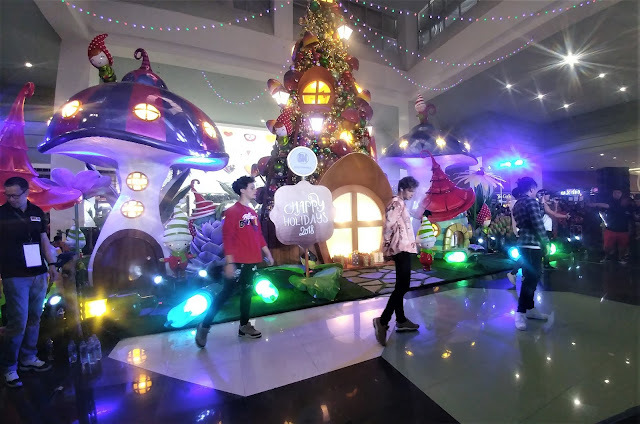 On the last day of In real Life's series of mall tours dubbed as Tonight Belongs To You, they came early in SM Southmall where fans - girls and boys, young and old - are waiting with excitement in their eyes. 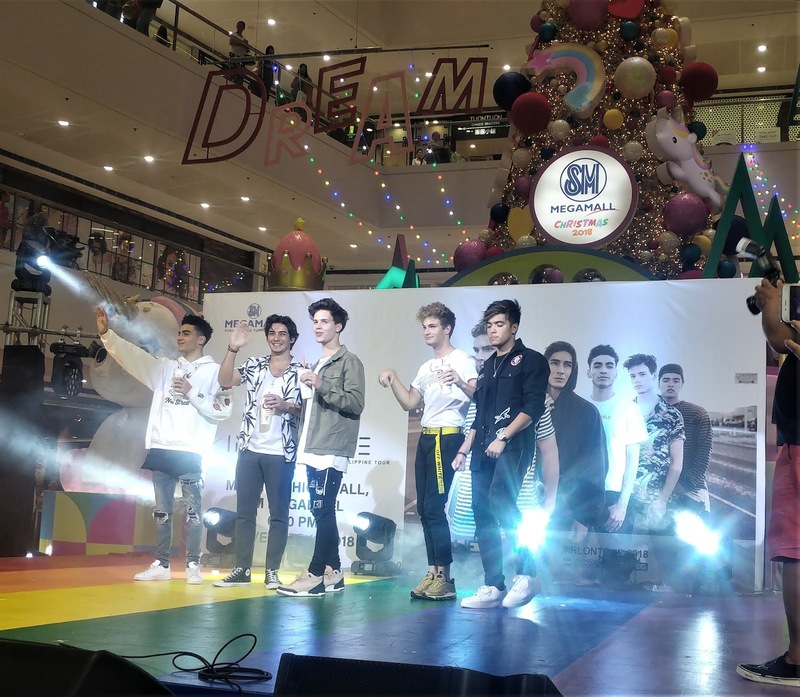 Some of the fans especially the millennials were already following their mall tours since day 1 at the SM Mall of Asia. The fans did not fail to get their selfies with the group before the performance. Everyone in the event area started to go wild and noisy when the boys were called one by one by the host, Ryan from Like FM. The boys - Brady, Chance, Drew, Michael and Sergio - though look tired and sleepy, are still good-looking and were smiling genuinely, waving happily at the fans. They started their performance with medley songs from previous boybands such as N'Sync, Backstreet Boys, and One Direction. It was surprising that when they sing their own songs, the crowd sing along. They are undeniably not just famous in the US but in other countries too such as the Philippines. 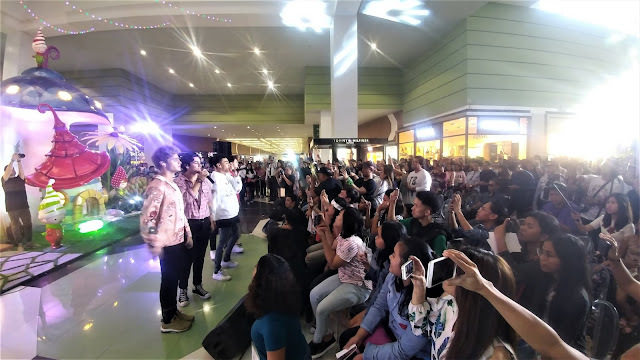 At around 5PM or earlier, fans flocked at the Mega Fashion Hall for the last half of their last mall show on Nov. 11, 2018. That event was the most crowded as people from the ground up to the 5th floor are watching IRL perform live. They have the same sets of songs as in their previous mall shows but it seems that the fans never get tired of listening, shrieking, singing along with them. Although that was the group's second performance for the day, they seemed so energetic on stage. They don't just sing, they can also dance well and I guess that's what make Pinoys admire them more. Before the show ended, Insular Life was so generous to raffle-off the lifesize standee of the boys. The lucky girls who won must still be in a cloud 9 up until now. The boys were thankful for the love and support their fans from the Philippines had given them. They said they really had a good time here meeting fans, gaining new friends, collecting adventures and great experiences and they hope to be back sooner, maybe for a concert.